It had been ten years since 52-year-old John Lee, Jr. received an eye exam. It was never much of a priority. 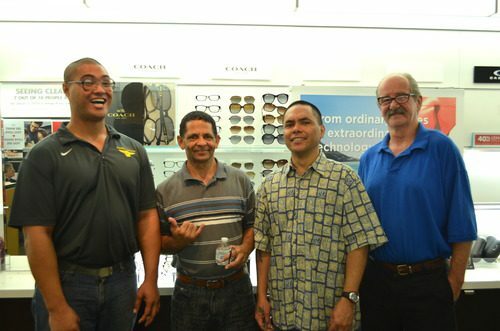 This week, LensCrafters provided free eye exams and glasses for Lee and many other beneficiaries at The Salvation Army Adult Rehabilitation Center (ARC) in Honolulu, Hawaii. Gerald, John Lee, Jr., Jaime and Richard are all clients at The Salvation Army Adult Rehabilitation Center. OneSight, LensCrafters’ charitable arm, has provided vision care through to those who cannot afford it for over 25 years. 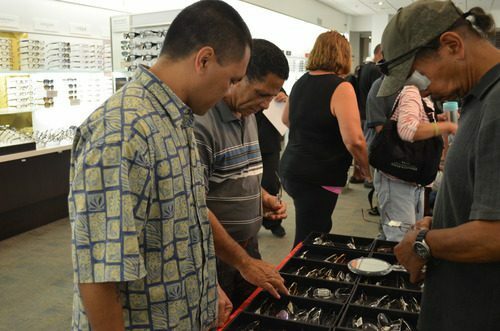 The group also served the Army’s Adult Treatment Services and Family Treatment Services for a total of 61 people, according to Holly Finley, LensCrafters Pearlridge general manager. Lee is four months into phase 1 of the rehabilitation program. He struggles with an addiction to crystal meth and said his family left him. His wife and 10-year-old daughter now live in Oregon, where he keeps in touch with them through Facebook. For Lee and his friends, Gerald, Richard and Jaime, receiving an eye exam and getting new glasses is all part of the rehabilitation process. They’re learning how to live healthily, take care of themselves and move onto better things.